Mackmyra has come a long way since 1999. Founded as the only whisky distillery in Sweden, it has earned a reputation despite its un-traditional Scandinavian location. But how, and more importantly, why is Sweden coming through as a force to be reckoned with in the whisky world? You have to start at the beginning to work this out. Back in the spring of 1998, eight friends on a skiing trip met up at a mountain lodge armed with a bottle each of whisky. The conversation turned to not only enjoying, but wondering why Sweden hasn’t taken advantage of producing. With this, the coming weeks looked into how whisky is produced and to see if they could make Sweden’s first ever. In March of 1999, Mackmyra was founded, alongside their first distillery. To really give you a scope of the size, there were no employees within the company. Instead, all aspects were run by the company’s eight founders. Nine months later, hard work paid off as the first whisky to be distilled came to fruition on 18th December after going through 170 different recipes. In spring of 2002, the first releases came after much deliberation. The Mackmyra Elegant and Mackmyra Smoke were the graces of Sweden, alongside their new distillery opened in Gävle during the same year. Mackmyra also offered an initiative called the Mackmyra Reserve. This idea revolves around the opportunity for customers to track their own personal 30-litre cask from production through maturation to final bottling, at a time of the customer’s own choosing. Currently, several thousand co-owners and/or cask owners have their name to Mackmyra. The year 2006 and 2007 saw Mackmyra release their first young, bottled series of limited editions, creating a prelude to new Swedish whisky. Incredibly popular, they sold out within a couple of hours. To capitalise on the popularity, the following year saw Mackmyra release ‘The First Edition’, the first to be produced in large volumes. Using Swedish ingredients and no additives, this unique expression is still available to enjoy today. The following years saw more innovative expansions, with 2009 being the start year for their own whisky village deep in the forest Kungsbäck in Gävle that includes tours of their distillery, and in 2010 launching Mackmyra Brukswhisky, the first from them to establish their premium range. Sounds like everything has gone from strength to strength, but how is it produced? All ingredients used in the production of Mackmyra are sourced within a 75-mile radius from Mackmyra, except for the yeast, which is from Rotebro. The water goes through a natural filtration process in an esker nearby and is sterilized with a high-intensity UV light. The peat is from a local mire near Österfärnebo, and the distillery uses barley from Dalarna and Strömsta Manor in Enköping. Mackmyra bottles at their natural colour, without additives, and ages their spirits in four different cask types: bourbon, sherry, Swedish oak and in a special signature cask made from classic American bourbon casks and Swedish oak. The whisky is generally matured 50 meters below ground in the disused Bodås Mine in Hofors, and most releases have been at cask strength, except for The First Edition and Mackmyra Brukswhisky. Very dry on the nose, a little damp but some sweetness follows. Ripe on the palate, a slight sweetness follows with wisps of cocoa coming through slowly. Short. Matured for ten years on high quality Bourbon, Oloroso and new American oak casks. Light, sweet green apple on the nose, with soft caramel coming through slowly. A building of warm spice upon the palate, with a kick of anise and raisin oak to start the lingering bold finish. Aged within American oak and Swedish oak, then partly finished in casks that previously stored Swedish cloudberry wine. Very light and thin on the nose, with subtle dried fruits and berries coming through slowly. A blend of fudge and striking spice are present on the palate, with a subtle peat smoke carried towards the long, slightly dry finish. Aged within ex-bourbon casks saturated with cherry wine, American oak casks (New and 1st fill), Oloroso wine casks and Pedro Ximenez casks. Gentle flowers, red fruit and subtle tobacco are present on the nose, leading to a ripe red berry profile on the palate. Fresh, with hints of dry herbs combine to create a cherried raisin finish. Aged within American oak, Swedish Oak, ex-bourbon and casks saturated with Oloroso. Deep smoke forms upon the nose, with hints of vanilla creeping through. Waves of light peat cross the palate, with sweet salted fudge following. Wet tobacco and anise combine towards a lingering freshly smoked oak finish. A collaboration with wine producer Masi, this is partially aged within casks that previously stored Masi Costasera Amarone wine. Subtle grape and raisin upon the nose, followed by a wrap of fudge and stemmed ginger. Dried peel of orange, with a lick of ginger, dry spice and oak, followed by ripe pear as it heads to a long, grape led finish. Finished within casks that previously stored sweet cherry wine. Very soft cherry notes on the nose, with light fudge and cedar wood coming through. Rich, slightly intense cherry approaches the palate first, followed by ripe fruits and stemmed ginger. A finish of long spices and cherry, with a slight dry linger. 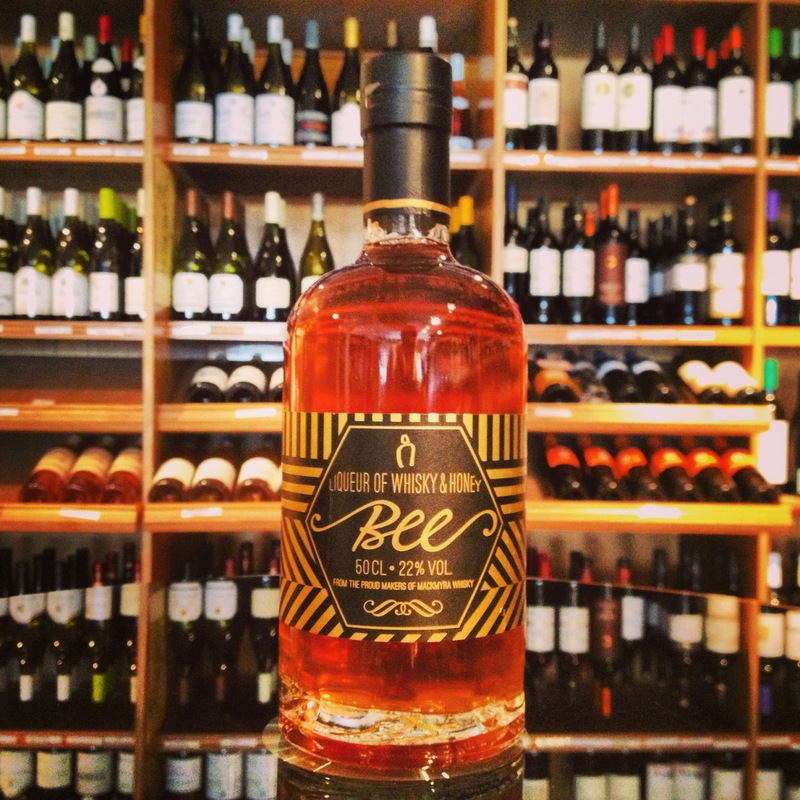 A liqueur made from Swedish whisky, malt vodka and organic honey. The honey is produced in the surroundings of Gävle and Valbo, and consists mainly of dandelion, linden and forest honey with hints of raspberry flowers. Soft notes on vanilla and wood on the nose, with the honey dominating. Light, thin but with plenty of aromatic honey flavours blended with butter and coffee. Short and velvet. Some fantasitc expressions, with such individuality compared to your more classic Scotland or Ireland offerings. I can see why the world is watching when new releases come onto the market. Although limited, it’s still a great addition to your drinks cabinet, and can be found in many a whisky led bar. It’s different, and bartenders love it and are more than willing to share!